The Dwarf Carried Other Worlds Too! This exoplanet - as astronomers call planets around a star other than the Sun - is the smallest ever found up to now  and it completes a full orbit in 13 days. It is 14 times closer to its star than the Earth is from the Sun. 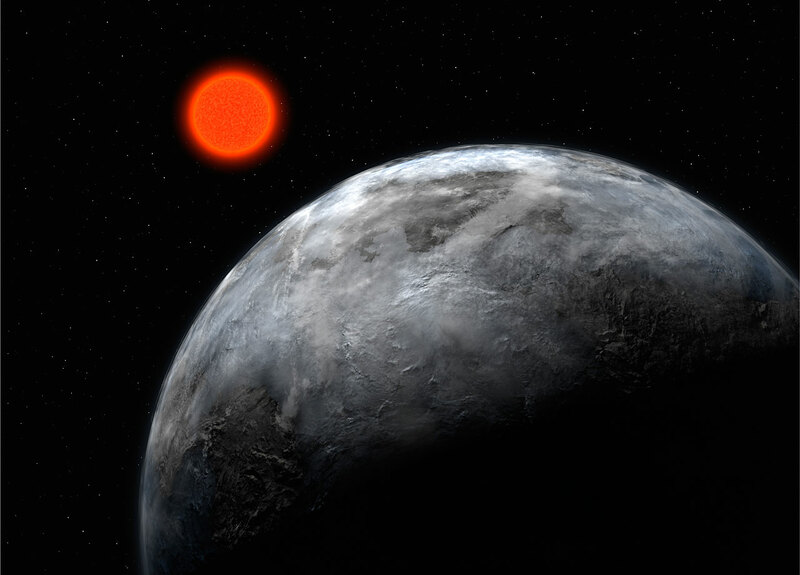 However, given that its host star, the red dwarf Gliese 581 , is smaller and colder than the Sun - and thus less luminous - the planet nevertheless lies in the habitable zone, the region around a star where water could be liquid! 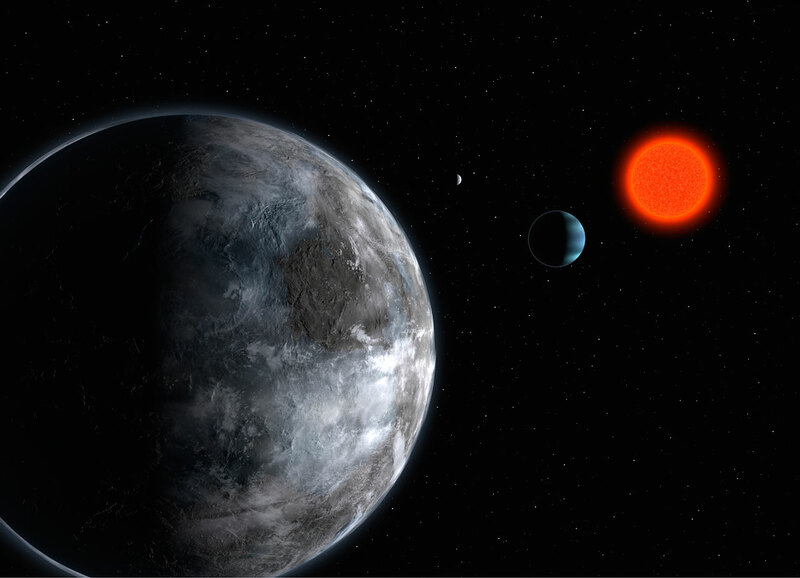 The planet's name is Gliese 581 c.
Two years ago, the same team of astronomers already found a planet around Gliese 581 (see ESO Press Release eso0539). With a mass of 15 Earth-masses, i.e. similar to that of Neptune, it orbits its host star in 5.4 days. At the time, the astronomers had already seen hints of another planet. They therefore obtained a new set of measurements and found the new super-Earth, but also clear indications for another one, an 8 Earth-mass planet completing an orbit in 84 days. The planetary system surrounding Gliese 581 contains thus no fewer than 3 planets of 15 Earth masses or less, and as such is a quite remarkable system. The discovery was made thanks to HARPS (High Accuracy Radial Velocity for Planetary Searcher), perhaps the most precise spectrograph in the world. Located on the ESO 3.6-m telescope at La Silla, Chile, HARPS is able to measure velocities with a precision better than one metre per second (or 3.6 km/h)! 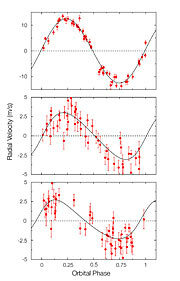 HARPS is one of the most successful instruments for detecting exoplanets and holds already several recent records, including the discovery of another 'Trio of Neptunes' (ESO Press Release eso0618, see also ESO Press Release eso0427). HARPS is also very efficient in finding planetary systems, where tiny signals have to be uncovered. 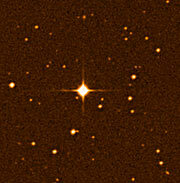 The two systems known to have three low mass planets - HD 69830 and Gl 581 - were discovered by HARPS. : Using the radial velocity method, astronomers can only obtain a minimum mass (as it is multiplied by the sine of the inclination of the orbital plane to the line of sight, which is unknown). From a statistical point of view, this is however often close to the real mass of the system. Two other systems have a mass close to this. 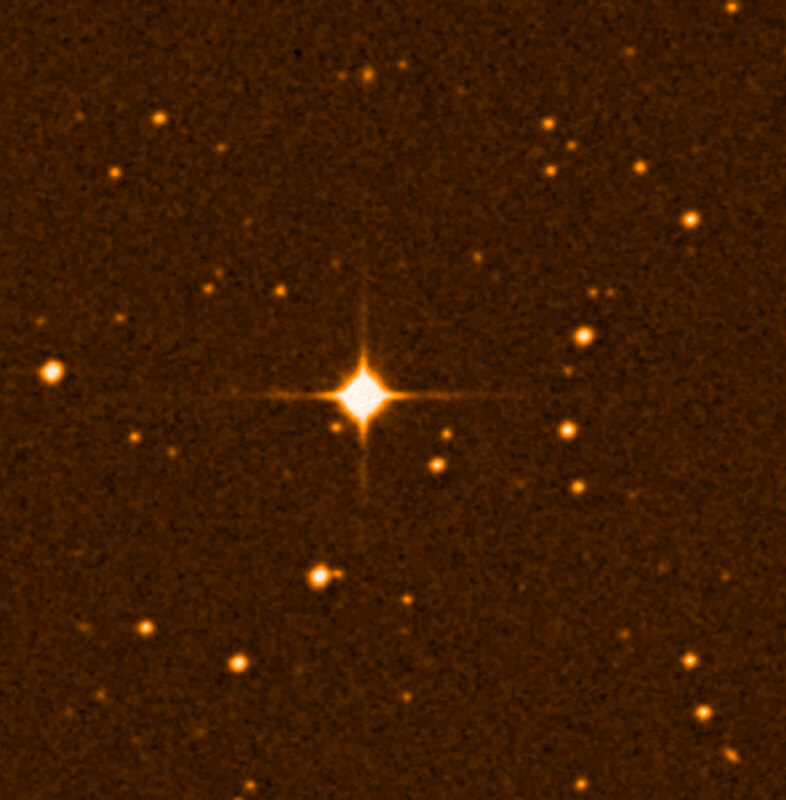 The icy planet around OGLE-2005-BLG-390L, discovered by microlensing with a network of telescopes including one at La Silla (ESO 03/06), has a (real) mass of 5.5 Earth masses. It, however, orbits much farther from its small host star than the present one and is hence much colder. The other is one of the planets surrounding the star Gliese 876. It has a minimum mass of 5.89 Earth masses (and a probable real mass of 7.53 Earth masses) and completes an orbit in less than 2 days, making it too hot for liquid water to be present. : Gl 581, or Gliese 581, is the 581th entry in the Gliese Catalogue, which lists all known stars within 25 parsecs (81.5 light years) of the Sun. It was originally compiled by Gliese and published in 1969, and later updated by Gliese and Jahreiss in 1991.
: This fundamental observational method is based on the detection of variations in the velocity of the central star, due to the changing direction of the gravitational pull from an (unseen) exoplanet as it orbits the star. The evaluation of the measured velocity variations allows deducing the planet's orbit, in particular the period and the distance from the star, as well as a minimum mass. 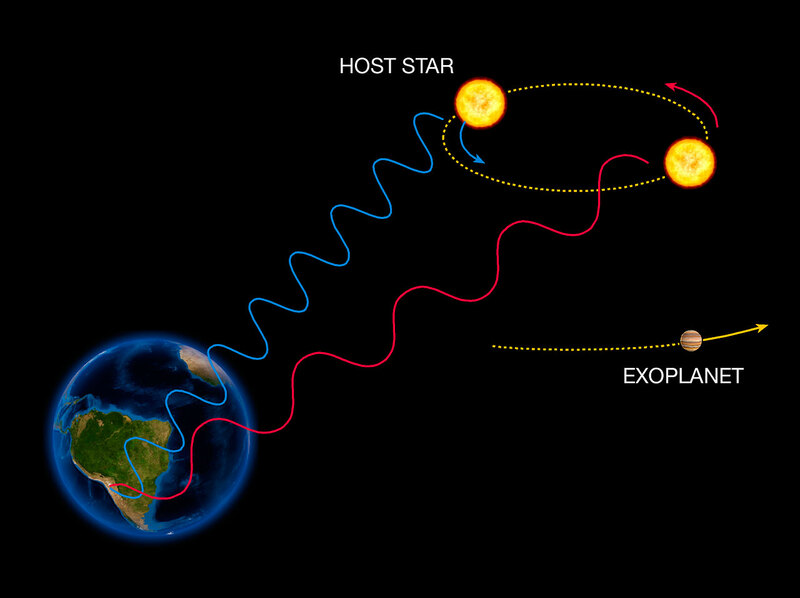 This research is reported in a paper submitted as a Letter to the Editor of Astronomy and Astrophysics ("The HARPS search for southern extra-solar planets : XI. 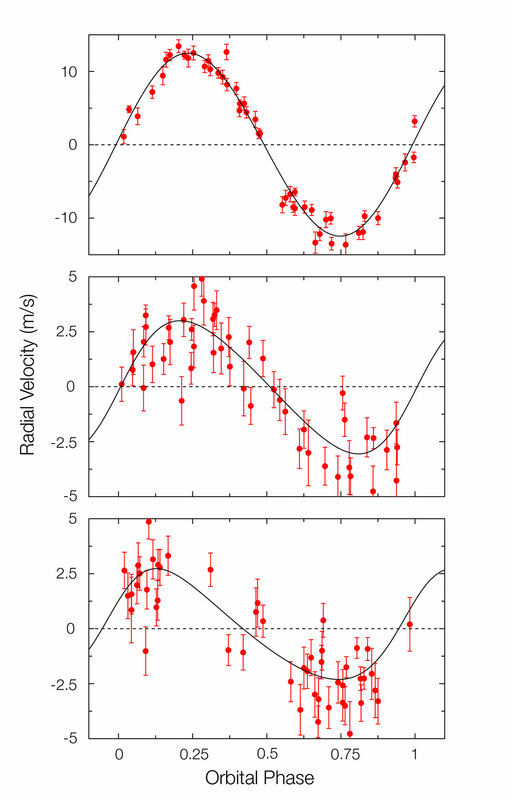 An habitable super-Earth (5 MEarth) in a 3-planet system", by S. Udry et al.) The paper is available from http://obswww.unige.ch/~udry/udry_preprint.pdf.